Does hand washing fight antibiotic resistance? According to the Centers for Disease Control, the answer is yes! Antibiotic resistance occurs when bacteria can no longer be controlled by an antibiotic, making it more difficult to treat illnesses. One key to combating this is avoiding infections in the first place, making hand washing a simple and important line of defense: Proper hand washing can reduce the incidence of intestinal illness by nearly 50%, and respiratory sickness by 20%. This cold and flu season, make sure that your restrooms and work areas remain well-stocked with soap, hand sanitizer and paper towels or, better yet, a hand dryer. Employee education is also a powerful ally in keeping germs at bay. 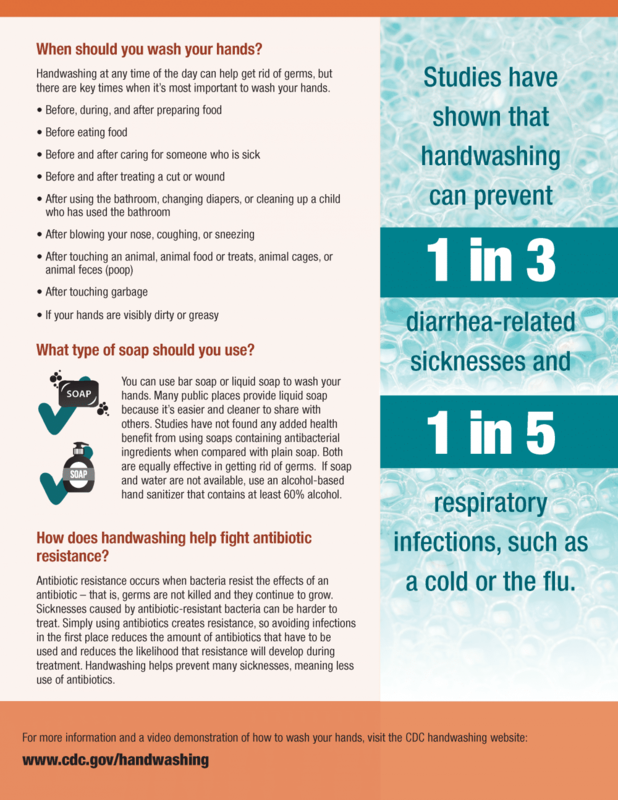 Download a CDC poster, featuring tips on when and how to wash hands to reduce the spread of germs, to post in employee break areas and rest rooms. You may also want to check in with your Loyal representative to decide whether your business will require additional hygiene supplies to meet seasonal usage.